1. Find unlinked brand mentions and turn them into links. With link building still being at the core of any SEO strategy, it’s vital to cover all such opportunities. Here’s the one you might not have thought about: turning existing brand mentions into links. If your brand has been around for a while, or if your brand, company or a specific product has had any kind of popularity at some point, it’s almost certain that there are mentions of your brand on the Internet: on blogs, forums, news sites or just somewhere on the Web. Obviously, not all of them will link back to your site: writers don’t care about promoting anyone else but themselves; they don’t have your SEO goals in mind, and the idea of linking might’ve never even crossed their minds. However, that doesn’t mean they would have a problem with adding a link if you ask them. So the only real challenge here is to find the linkless mentions. This is where social listening is relevant. To be fair, you won’t be able to get linkless mentions with every social listening tool: you’ll need one with the Boolean search mode. With Boolean search, the user sets up the search query manually using the Boolean operators, such as AND, OR, AND NOT etc. So in the case of finding linkless mentions, the user should type their brand name as a keyword and add AND NOT link:yoursite.com/* . Tools that have Boolean search as their option include Awario (disclosure: I work for the company), Talkwalker, and Brandwatch. 2. Monitor new links to your site. Modern link building means knowing where and how your backlinks are being built. First, it’s useful to know marketing purposes: what if you can get more out of the website that already links to you? Second, you’ve got to know if your backlinks are coming from quality sites, because, as we know, links from the spammy and untrustworthy sites can seriously hurt the rankings. With social listening, you find out about any new links anywhere on the Internet in real time. To start looking for new links, type your site’s URL in a website/web page field, which is available in most social media monitoring tools, and choose to search from limited sources: the Web plus news/blogs. This will exclude mentions that come from social media platforms (e.g. Twitter, Facebook, YouTube, etc.). You can also use the link: operator if your tool offers Boolean search. 3. Find guest blogging opportunities. Any SEO will tell you that guest blogging is a sound link-building strategy. It will not bring you a sudden rankings boost, but it’s a solid, tried and true way to build up your site’s reputation. This is why finding guest post opportunities is an ongoing task for many marketers. While there are always a couple of blogs that are easy to find but impossible to get featured on, there are also other blogs that are harder to find because they are not in the first two pages of Google. Yet, they might be more relevant and have a more loyal audience — that’s what usually happens in smaller communities. These blog editors are also more likely to publish your articles. All blogs that talk about this topic: you can go through them and find the ones you didn’t know about. Social media influencers in that industry (people with a large following that talk about your topic a lot). Go through the people in the list of influencers (all tools mentioned before offer a feature to find influencers) to see which ones have a website with a blog. You’ll be surprised to find out just how many have a relevant (maybe not that well made) website with a dedicated audience. There are a number of other ways to find guest posting opportunities with a social media listening tool. All of them go beyond your usual methods and are worth checking out! 4. Keep an eye on your brand’s reputation. In 2010, a horrible story appeared in the New York Times. In it, the author explained how negative reputation could help brands rank better in Google and cause more sales, as bad reviews generated links and buzz around the brand. The whole approach received a name: negative advertising. Merchants were acting badly on purpose, making their customers angry and, therefore, more likely to write passionate, albeit angry, reviews. Of course, that wasn’t a good thing for Google, and, after the problem became apparent, they announced they incorporated an algorithmic solution to down-rank brands that provide poor user experience. We don’t know how it works now, although they talked about their “world-class sentiment analysis system” at some point. We do know it works, though. No more similar cases were in sight. You are probably not one of those terrible marketers willing to torture their clients just to get a higher Google ranking. However, social media crises do happen even to the best of brands with the best intentions. A social media crisis can result not only in a long-term reputation problem but also in a serious ranking drop. This is why it’s important to keep an eye on the sentiment around your brand. A social media tool with a built-in sentiment analysis will help you notice any suspicious spikes in time and take care of the problem before it goes viral or gets big enough for Google’s algorithm to notice. While link building is still absolutely essential in SEO, it is becoming less and less so. You can see how passionately Google is working towards new ways of figuring out the real value of websites, understanding their content and being more and more capable of evaluating the Internet the way humans do. The Internet is much more than just links. These days it’s more about being popular, going viral and being heard in its various corners. Most of all, the Internet is about social media: taken together, the most used websites that don’t have any dofollow links. At the same time, we know that Panda patent talks about “implied links” as a signal that could be no less important than backlinks. An implied link is defined as “a reference to a target resource, e.g. a citation to the target resource, which is included in a source resource but is not an express link to the target resource”. Sounds like a mention! This is why you should work towards growing brand mentions. 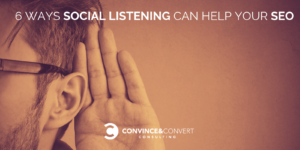 With social listening, you can, firstly, track brand mentions. Knowing when, where and in relation to what brand mentions appear will no doubt give you a much better idea as to how to grow more. For example, should your marketing strategy focus more on social media? If so, on which platforms? Or maybe you have to move to forums and blogs (e.g. try marketing on Reddit?). Second, you can apply new techniques of growing brand mentions, such as social selling and influencer marketing. 6. Learn from your competitors. All the tips above can be used to monitor your competitors and discover where they get links, where they guest posts, with which influencers they work and so on. All this information can be used in your own marketing and SEO strategy. The workflow is as straightforward as it gets: everything that you’ve done for your brand can be completed using your competitors’ brand names and URLs. Creating a different alert for every vital competitor will make the task even easier and let you see your progress compared to that of your competitors in a clear and detailed way. 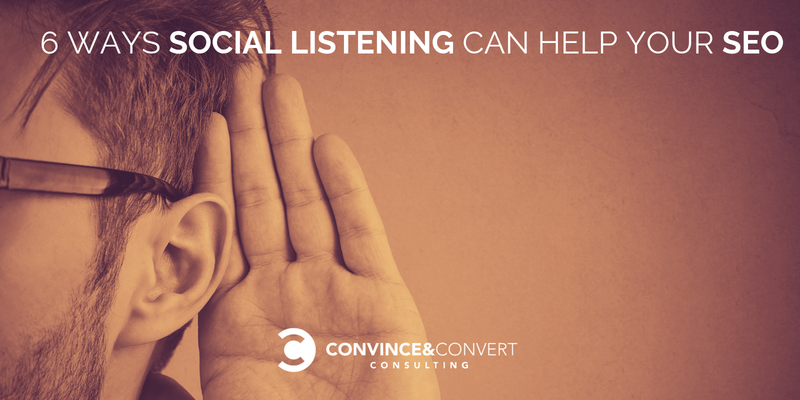 Social listening is full of possibilities. It’s this new, not-totally-explored-yet technology that slowly changes the way we do digital marketing. Try using it for SEO and you might see changes you never expected to see.